After losing to Hongkong by 7 goals during the first game of the FIFA Second Round World Cup Qualifying match on 11th June 2015, it seems our journey to Russia for the 2018 World Cup would not be as easy as I had imagined. When our country qualified for the Second Round after beating Sri Lanka in the First Round with 3-1 total goals in March 2015, we had regained confidence in our national team and believed that they would not surrender easily. When they finally left for Hongkong on 1st June 2015, the entire Bhutanese people were behind them, showering them with wishes and prayers. But unfortunately, luck did not favor us this time despite the team’s best efforts and hard-work. Although we lost to Hongkong 0-7, I feel we cannot afford to deny the efforts put by our young Dragon Boys. I should say they played very well despite being comparatively far behind the Hongkong National Team in terms of exposure and professional experiences. Sitting in front of the television and criticizing the players is one thing, but being at the international stadium, away from home and playing against professionals cheered by thousands of new faces is a different thing. Despite being almost lost in the crowd in a foreign land, our boys gave their best and never gave up till the end. I had expected at least 1 goal when Chencho Gyeltshen missed it by an inch, but that was alright. After all, it’s a game and anything can happen. I didn’t feel bad about our team for the defeat and instead, I found new ways to appreciate them for their courage and confidence. However, I am still not convinced why Mr. Choki Nima, the former coach of Bhutan National Football Team (BNFT) was replaced by a Japanese coach although his mentorship had yielded a historic victory for Bhutan in March. I feel Mr. Choki Nima would have done better since he has been very familiar with each player and only he would know the strengths and weaknesses of each member of the team so that he would be able to make better plans for the entire team. Moreover, as a national coach, he would have more ownership of the team. I also heard that the new coach did not care the sentiments of the team and forced them to accept any Jersey number assigned to them by him. I suppose if the team and the coach who mentors it do not get along well, it cannot yield the expected outcome easily. I feel Chencho Gyeltshen should have played as Jersey no. 7 only because that had become sort of his identity after his performance in the First Round qualification match. Just as Cristiano Ronaldo (Jersey no. 7) and Lionel Messi (Jersey no. 10), Chencho was Jersey no. 7 for Bhutan, not no. 10. I am not happy with this decision although I am not sure if it would have made any difference in the final outcome of the match. In big events like this, it’s extremely important to respect the sentiments of each player. Back to the brighter side, it’s clear that our national team has made a lot of significant progress over the years in how they perform in the football field. Had our players and our goalie not been professional and skilled enough, we would have lost by more than 7 goals this time. But as a result of proper team coordination, we could save other goals from our opponent. I feel 7 goals for Bhutan is not a big blow because even Brazil, one of the World Cup champions had lost to Germany last year by 1-7 goals during the World Cup Semi-finals. 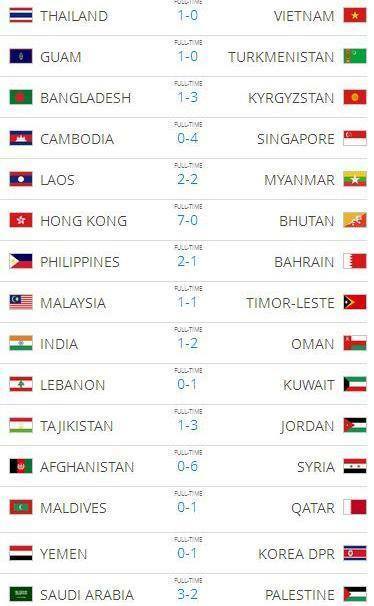 For Bhutan which has only recently started taking interest in soccer, this is a good consolation. We still have a long way to go and as we go, we will gather new experiences and skills on the way which shall definitely take us to the top of the world someday. Since our first international match on 1st April 1982 in Katmandu, Nepal during which we lost by 1-3 goals, we have come a long way in our efforts to develop and streamline the game of football in the country. The main problem was that we didn’t have a professional body to take care of our players and the national team used to be formed by pulling popular players from various institutions just a few months ahead of the event. A few weeks or months of training was certainly not enough to groom the players to challenge their opponents who had been trained for years. Moreover, we don’t have the tradition of encouraging our children to take interest in football because of the greater importance we attach to our traditional games. As a result, we have suffered many defeats in football championships in the region. The biggest defeat was on 14th February 2000 in Kuwait City where we lost to Kuwait by 0-20 goals. Nevertheless, each defeat continued to hone our experiences and technical skills. Finally on 23rd April 2003, we enjoyed the biggest victory 6-0 goals against Guam in Thimphu. Since then, our position in the FIFA ranking began to shift upward but with subsequent defeats in the following years, our position went down to the last rank: 209th in 2014. However, our victory during the First Round FIFA World Cup qualification against Sri Lanka in March 2015 pulled us up to 159th position on the FIFA ranking. What we can now learn from these victories and defeats is that our national team must really be groomed well with professional training and exposures. It’s good that so many local football clubs have come up in Bhutan and that these clubs must seriously engage in frequent championship matches among themselves since this would give players ample opportunities to test their skils and acquire more experiences. Moreover, it’s very important that we now have full-time players under each club if we are to produce soccer stars in the future. Also it’s high time for the government to start investing more on promoting the game of football in the country alongside other sports. We still have seven more opportunities to prove our strengths in this round and I have not yet given up on my hope to secure victory in at least a few matches. I would like to wish our national team the best of luck in the upcoming matches. I hope they have not been discouraged by this latest defeat. Dragon Boys, please do not lose hope. We will be behind you throughout this journey and beyond to share your grief and joy. Once again, I pray for your good health and success in your life.